I Think I’m Going Bald? 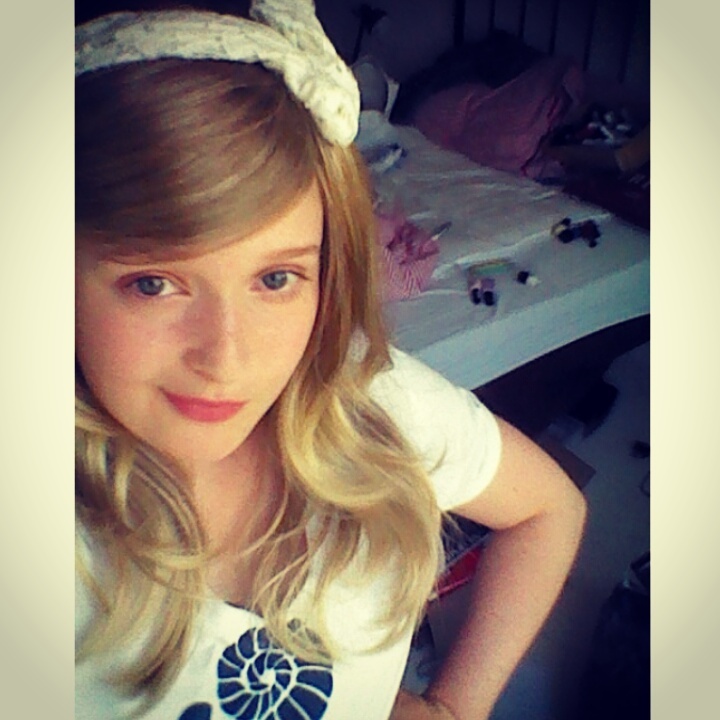 I had to start wearing my wig yesterday as when I woke up in the morning those patches I showed you had got worse, meaning that the part that was clinging on for dear life at the front was a weird shape and just looked ridiculous. I then sat idly pulling at the clumps (because I thought heck- it’s coming out anyway and i’m not going round looking like that!) so that now at least an inch of my hairline is gone. It hasn’t all fallen out but you can definitely see my scalp. Choosing to wear the wig was a big decision for me as when I tried it on before for some reason it looked wrong, “like a doll” we decided, so I didn’t have much confidence in it. Overall what pushed me to doing it is that I’d rather people were looking at me and saying that I was obviously wearing a wig than seeing what it looks like underneath. I’m not taking any photos of it and haven’t showed anyone as I don’t want that to be what people see when they look at me in future. The wig wasn’t even uncomfortable, some people say theirs are scratchy but so far I’ve had no problems! It was definitely odd getting used to how I looked but after a while it felt natural and so awesome to have long hair again! It honestly felt like my own because even though I could feel something on my head that would be just like if you were wearing a headband or a hat. Plus it’s long and kind of curly so my ideal hair! 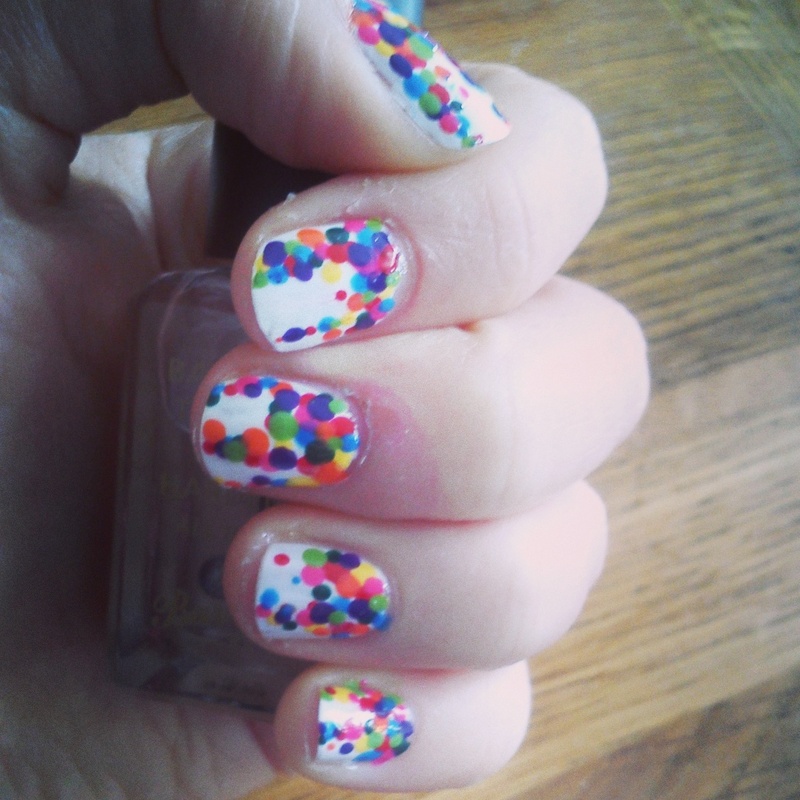 Also I did my nails all funky yesterday and I haven’t posted a nail photo for a while so I thought I’d restart the tradition! 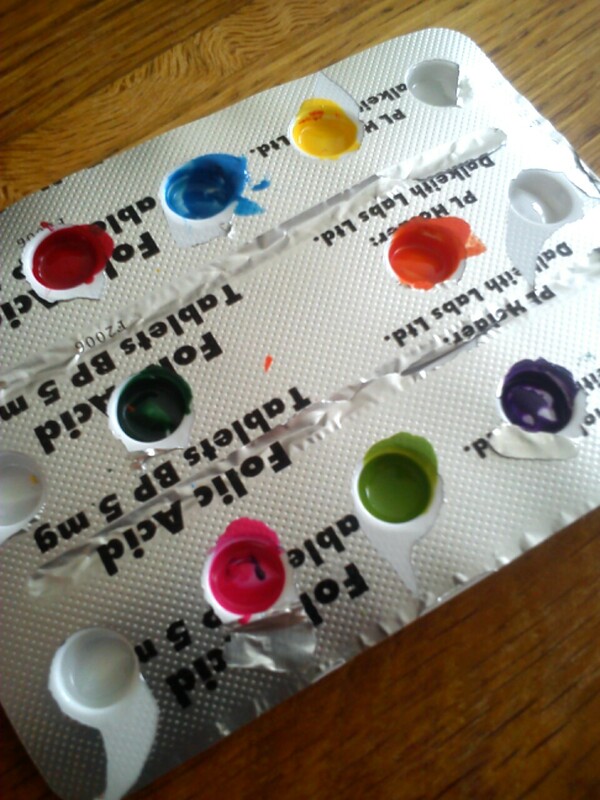 Recycling my pill packets to make nail varnish pallets, they’re actually perfect for it!